The benefits and advantages of using the pyramid of employee engagement to improve engagement. 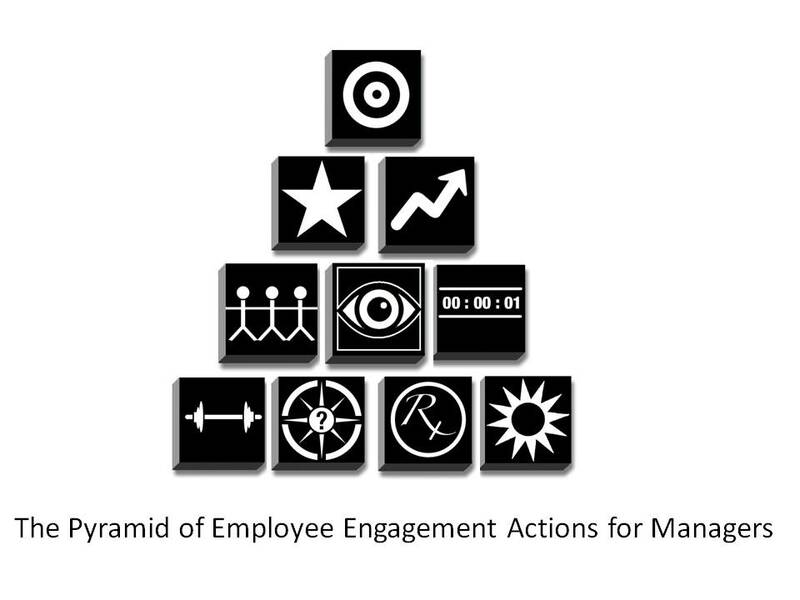 The Pyramid of Engagement is a new model for employee engagement. At the end of 2011 and the start of 2012 a new model for employee engagement was developed through 10 years of study in the field and connections with over 4600 people involved in employee engagement. The pyramid of engagement is built on 10 blocks that offer the structure for great engagement. The blocks starting at the top and going down the pyramid from left to right are: achieve results, maximize performance, path progress, build relationships, foster recognition, master moments, leverage strengths, make meaning, enhance well being, and enliven energy. Here are 9 advantages and benefits of using this unique model of employee engagement. Simple. The model can be grasped in seconds and with 10 blocks and bold images it is intuitive for many people. The images and the pyramidal structure make it easy to visualize and easy to recall. Yet, embedded within this simplicity are 10 powerful keys to create, sustain, and enhance employee engagement. Unique. Each element of the model has a bold image to represent the foundation of that block. 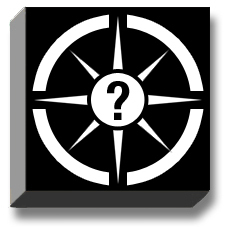 There is a target for results, an arrow for progress, a compass for meaning, and a clock for moments. The 10 icons add a strong and compelling visual dimension to the model. Inspire. The model was inspired by the work of the Egyptian pyramids and John Wooden’s pyramid of success. The pyramids in Egypt demonstrate that the structure will stand the test of time and remain for many years. We all know the pyramids were not built in one day much as this pyramid took time to build based on leading thinkers and practices in employee engagement. John Wooden’s pyramid outlined 15 building blocks for success and was the structure behind Wooden’s phenomenal coaching success with U.C.L.A.’s basketball program and the legacy of his teachings for his players. The Wooden pyramid is still inspiring many players and coaches today. Flexible. The blocks are placed in a specific order yet the pyramid is open to individuals or organizations moving the blocks around. For example someone may want to put relationships at the top of the pyramid and results at the heart of the pyramid. Someone else may have their own block they would like to switch with one of the blocks in the original pyramid. Although the model is solid, it is not static. Building blocks. The pyramid offers the big picture of what can be done for engagement while offering the ability and structure to tackle one block at a time. Many people are overwhelmed by work and perceive engagement as yet another task. With this model you can focus on just one block at a time for a day, a week, a month, or even a year. The blocks of the pyramid remind my of the alphabet building blocks many of us had as children helping us to build familiarity and comfortableness with our letters and language as we manipulated the blocks during play. Self and other. The pyramid was originally designed for managers to use as a tool to increase engagement with employees who report to them. It quickly became apparent that the model can be used by managers to enhance their own engagement or be offered to employees as a tool to take charge of their engagement. We can only engage others when we are engaged. Topple the people organizational pyramid. Many organizations are organized around a pyramid. The CEO or President is at the top and people are on levels below the CEO. We should stop putting people into pyramids (remember what they were used for in Egypt) rather this pyramid is based on elements and everyone can work towards results, performance, relationships, etc. We build the blocks of engagement together, not alone and the apex of the pyramid is a place for all. One, two, three. It is easy to make mini pyramids out of the 10 blocks. I believe when we try to focus on more than 3 items at a time we end up getting confused and diffusing our efforts. For example, you could take the top 3 blocks and focus on results, performance, and progress. You can do an assessment of your strengths and weaknesses and build a mini pyramid to overcome weaknesses or build a mini pyramid to get the absolute most from your engagement strengths. Evidence based building blocks. The blocks are based on research and evidence based practice. A few examples of the research embedded within the pyramid are studies by by Teresa Amabile from Harvard on progress and setbacks, research by Jane Dutton from Positive Organizational Scholarship out of the Ross School of business on organizational energy, and research by Gallup on strength based approaches to work. 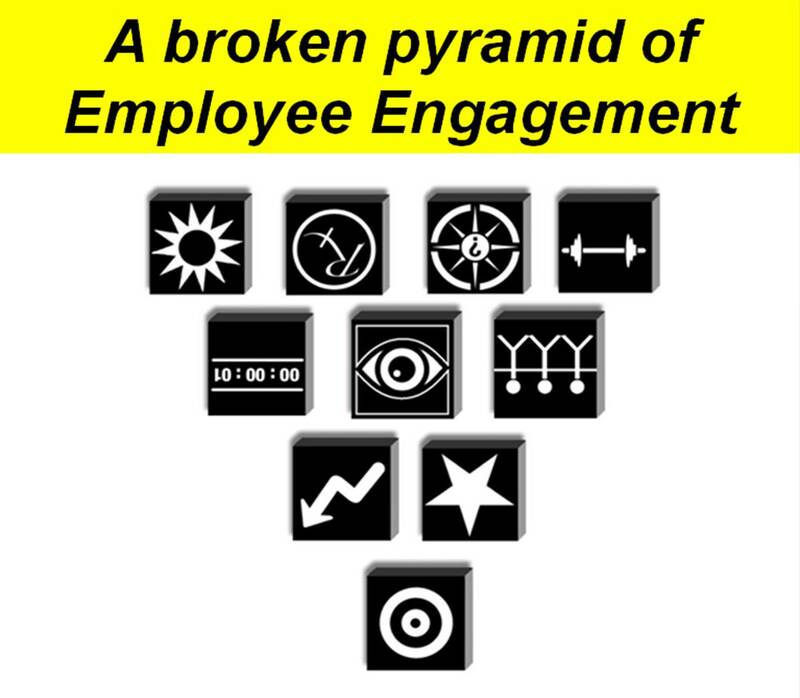 David Zinger has built the model of the Employee Engagement Pyramid as an enduring structure and tool to sustain his work on engagement for the next 18 years. David is the founder and host of the 4600 member global Employee Engagement Network. This network is part of David’s labor of love so that others will more in love with their labors. To request information and book David for a keynote, workshop, or course on the Pyramid of Employee Engagement contact him at zingerdj@gmail.com. Making moments. Engagement resides in the moment. Learn to master moments from high quality connections to powerful touch points. When we balance challenge and skills we enter the flow zone as we dwell and work within the moment. In addition, focusing our work within the moment alleviates work stress. Access even 1% of the 20,000 opportunities for engagement. Reach out and TouchPoint somebody. Transform IQ into HQI to power up the organization. Dwell in the moment to banish stress. Intersect challenge and skill to find flow. Access even 1% of the 20,000 opportunities for engagement. According to Nobel Prize-winning scientist Daniel Kahneman, we experience approximately 20,000 individual moments in a waking day. 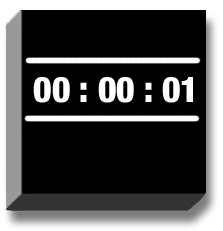 Each “moment” lasts a few seconds and each offers an opportunity to engage. Within a moment we can fuse with our task at hand for full engagement or reach out beyond ourselves to appreciate and recognize others. Even at just 1% fulfillment we would experience 200 powerful and engaged moments everyday. Be a micro-manager, really! Generally, being a micromanager is not perceived to be an admirable quality in a manager or a helpful connection to the manager or work for the employee. But what if we manage our moments and focus on our moments of interaction. Small things make a big difference. Engagement, to be effective, must be reduced to the verb of engage and when we fully engage the moment seemingly miraculous things begin to occur. Instead of the energy sapping interaction of micromanagement based on command and control of trivial details become a manager of the micro moments of work by enhancing connection, input, interaction, authenticity, and co-creation. Reach out and TouchPoint somebody. This approach to managing engagement is the Campbell Chicken Soup for the Organization as it originates from the former CEO of Campbell soup, Doug Conant. Doug used TouchPoints to transform Gallup’s dismal engagement scores at Campbell Soup into some of the best scores Gallup has seen. Doug believes the moment of interruption is the real work of management. Each of the many connections you make has the potential to become a high point or a low point in someone’s day. The point of getting in touch is that each touch point has the opportunity to “establish high performance expectation, to infuse the agenda with great clarity and more energy, and to influence the course of events…TouchPoints take place any time two or more people get together to deal with an issue and get something done” (page 2). Our interruption interactions are not distractions but rather the real work of management. In the moment of engagement action resides in the interaction. Transform IQ into HQI to power up the organization. Jane Dutton believes that there is tremendous power in our connections and interactions and we must guard against corrosive connections that corrode motivation, loyalty, commitment and engagement. Rather, we must enhance high-quality connections or interactions marked by mutual positive regard, trust, and active engagement on both sides. A cornerstone of high quality connections is respectful engagement characterized by being present to others, affirming them, and communicating and listening in a way that manifests regard and an appreciation of the other person’s worth. Even small acts of respectful engagement infuse a relationship with greater energy. An ongoing stream of high quality interaction by people within an organization may be the single most powerful way to renew and contribute to an organization’s energy to achieve results through strong relationships. It takes some energy to initiate a high quality interaction but usually we find a return of energy through the interaction. Get to meetings early so you can compose yourself before the others arrive. Practice “mindfulness” by doing just one thing at a time, giving it your full attention. Pause after you finish one task before beginning another. If possible, make it last for several minutes. While waiting for a fax or an elevator, think about the present instead of succumbing to the rush and anxiety of tasks still waiting. Clear goals – expectations and rules are discernible and goals are attainable and align appropriately with one’s skill set and abilities. Concentration – a high degree of concentration on a limited field of attention. Lack of self-consciousness – the merging of action and awareness. Timelessness – one’s subjective experience of time is altered. Powerful feedback – successes and failures in the course of the activity are apparent, so that behavior can be adjusted as needed. Balance of ability and challenge – the activity is neither too easy nor too difficult. Sense of personal control over the situation or activity. Intrinsic rewards, so there is an effortlessness of action. Full aborption into the activity, narrowing of the focus of awareness down to the activity itself, action awareness merging. Douglas Conant and Mette Norgaard, TouchPoints: Creating Powerful Leadership Connections in the Smallest of Moments. Tom Rath and Donald Clifton, How Full is Your Bucket? Stephan Rechtschaffen, Time Shifting: A Guide to Creating More Time to Enjoy Your Life. Next post in this series: Why employee engagement needs to be strong stuff. View Moments. I strongly encourage you to watch the wonderful 4 minute brilliant video on moments at the end of this article.